Corporate scandals, identity theft, data breaches, cheating in professional sports! What's going on? Why is this happening? Why are people behaving like this? It makes me feel like the world is falling apart! How do people get seduced into fraud? How do fraudsters use seduction to deceive people? Who is your "internal" auditor? The Seduction of Fraud will transform fraud training into a fun, engaging, personal development program for you and your organization. We will inspire you, inform you and challenge you, all in an interactive format. We go beyond ordinary tools and techniques by leveraging popular movie clips and current scandals in the headlines to help you understand seduction, and we will take a deep dive into the emotional mindset of fraudsters and other bad actors. You will invest into your personal development, as well as the company culture and ultimately benefit by understanding the ethical decision-making process by motivating employees to become self-aware of ethics, culture, seduction and fraud. Hello, I’m Steve Morang, your fraud expert. And I’m Sanya Morang, your seduction expert. 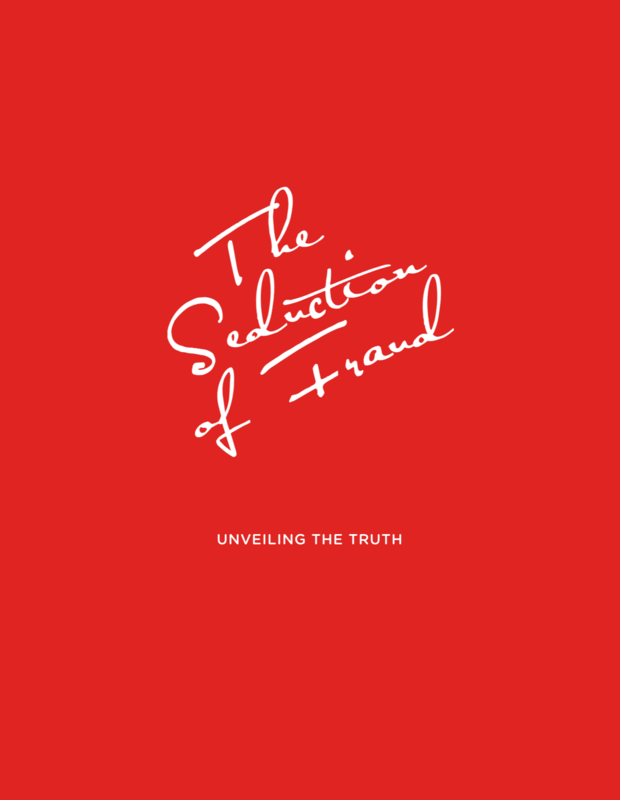 Together we introduce “The Seduction of Fraud”. See you soon at an upcoming workshop or online course! Are you interested in hostingThe Seduction of Fraud at your organization? Or do you have questions about attending one of our programs? As co-founder of the Seduction of Fraud, Sanya is an expert on human nature and behavior. She is an Adjunct Professor at Golden Gate University and holds a bachelor’s degree in marketing & psychology from Webster University, Vienna, Austria. Sanya is also a Certified Spiritual Mentor through Atlantic University, Virginia. With over 20 years experience in the anti-fraud profession, Steve has an extensive knowledge of fraud, ethics and compliance. He is President of the San Francisco Chapter of the ACFE, the author of Big Frauds Column of Fraud Magazine and is an Adjunct Professor in Fraud Examination and Ethics at Golden Gate University. Coffee with the experts on the go. If you don't have an account on Caffeine.tv , no worries. It's fast, safe and free.